HomeApple FM NewsThe Apple FM App Is Coming ! The Apple FM App Is Coming ! 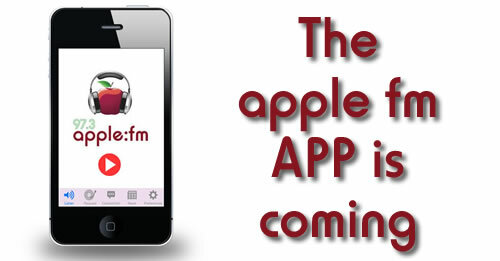 We are extremely excited to announce that the Apple FM App is coming soon. It will launch in May to mark our second anniversary of broadcasting as Apple FM. On the APP you will be able to Listen live, Contact the studio, Request a song, Enter our competitions and get all of the latest local news together with the latest Apple FM news.